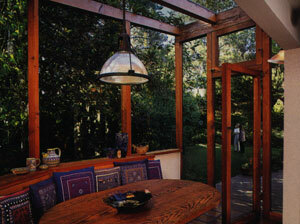 Solar control window film was invented in the mid sixties. It is a micro-thin layer of polyester film combined with minute particles of metal, coated with a durable, optically clear scratch resistant coating. It is installed as a retrofit product on clear tinted glass. If You Answer Yes to One or More of These Questions You Need Window Film. Do you have trouble sitting next to your windows at certain times of day? Do you need to keep your drapes/blinds/shutters closed to keep your furnishings from fading? Is your home hot on one side and cold on the other? Do you need to put sunglasses on to sit in your favorite room? Do you have to look at your view through blinds because it's too bright? Did you notice that your draperies and furnishings are fading? Are you wary of UV radiation and its impact on skin cancer? Do you have to close your drapes/blinds/shutters to watch television? Does the temperature in your house frequently seem unbalanced? Special scratch resistant coatings on products stand up well to normal every day wear and tear, and make cleaning and maintenance trouble free. Our products use a clear distortion-free adhesive system that has been specially designed for years of performance in demanding commercial and residential applications. The metal alloys used in window films are highly color stable. There are no dyes or pigments put in the film, so there is nothing to change color.